I want to start off by thanking you for your support! Without my scholarship, I wouldn’t have been able to attend Georgia State University without financial stress. Coming from a single parent home, college wasn’t always at the top of my list of priorities because it was so expensive. I knew that if I could work hard in school and on the volleyball court I could be recruited to play. This would allow me to go to school and focus on my school work instead of having to get a job to make up for the money that financial aid wouldn’t pay for. Once Georgia State was interested in me playing for its volleyball team, it relieved so much stress during my sophomore year at Newnan High School. Being a native of Georgia, GSU has always been on the top of my list of colleges to attend. As a Georgia State student-athlete, I learn so many lifelong skills that transfer off the court into life. This will prepare me for the future and help me to be able to tackle any obstacles set before me. My coaches have instilled so many values in me such as being a hard worker, coming out of my comfort zone, and being a “go getter”. I will cherish these forever. My scholarship has been the key to my success. I am in my second year here and I can only dream of the years to come filled with making more memories and working hard in order to continue to be a good student, a coachable athlete, as well as a supporting peer. I plan on graduating from GSU in 2016 with a degree in the Bachelor of Sciences majoring in pre-respiratory therapy. In the future, I would love to work in Trauma or Neonatal and thanks to your support of GSU Athletics and the Panther Athletic Club, I am one step closer! 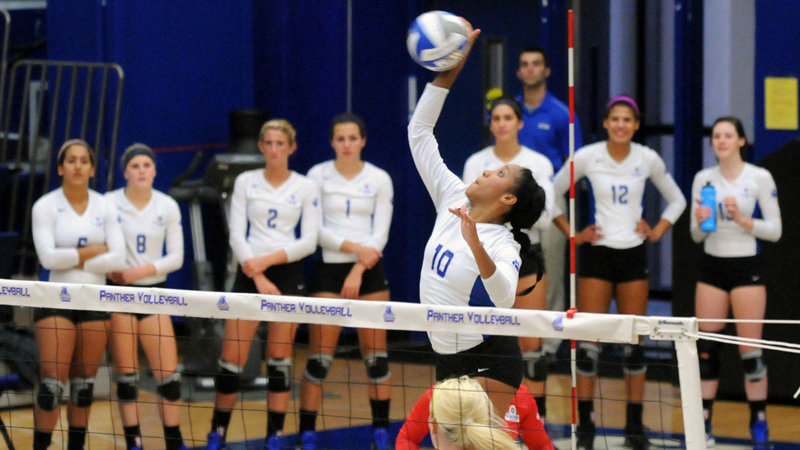 This entry was posted in Georgia State Athletics, InsideGSUSports, Panther Athletic Club (PAC), volleyball. Bookmark the permalink.